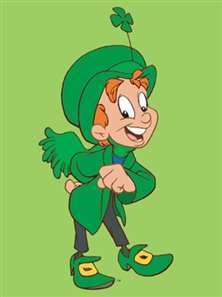 Golden Valley, Minnesota–In a shocking turn of events, longtime mascot of Lucky Charms cereal, Lucky the Leprechaun, was charged with driving while under the influence, resisting arrest and attempted bribery, according to Minnesota state police. 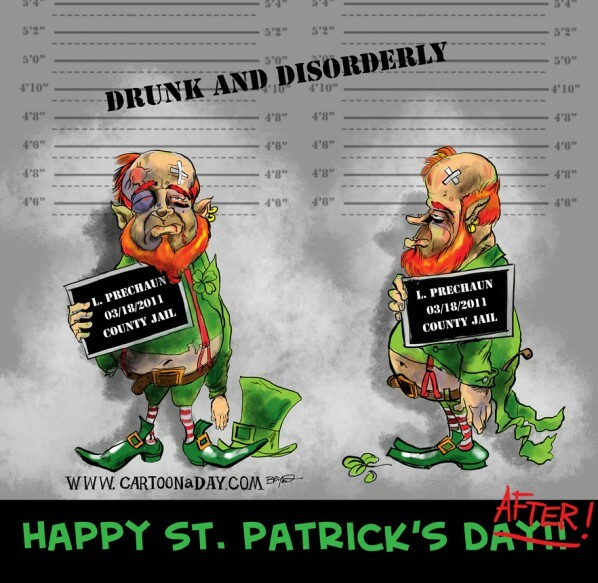 “Don’t you know who I am?” The leprechaun kept yelling according to the arresting officer. Then he offered the officer three wishes and ‘all the Lucky Charms he Could snort’ if he would let him go. It would seem that it was Lucky’s trouble had started with his pot of gold and an ill-advised wager. Apparently he had bet his entire pot of gold on the New England to win the Superbowl. Police said it was a colleague who had prodded Lucky into the wager. He paused for a moment to compose himself. “And the other cereal mascots really get on my nerves. That wimp the Trix Rabbit is always popping in unannounced, griping that he never gets any Trix because Trix are for kids. Just take some you pathetic fur ball, they’re just kids, what are they gonna do? That giant nosed freak Toucan Sam, flying around and crapping all over my carpet…you shouldn’t have to lay down newspaper just because a friend comes around. And don’t get me started on Tony The Tiger; he’s obnoxious, he smells, and I’m pretty sure he has chiggers…does any of this sound “lucky” to you?” He then began to weep uncontrollably. His tears were green. The judge released Lucky into the custody of General Mills pending trial. Note: Authorities are still unclear as to how a naked Justin Bieber wound up in the trunk of Lucky’s car; they both claim to have no memory of what happened the night before. Uh. Lucky better straighten out. General Mills also makes dog food.